Mississippi passed its first statewide Prohibition law in 1907. Mississippi was the first state to ratify the 18th Amendment, which prohibited alcohol sales across the country. Mississippi was the last state to abolish Prohibition in 1966, over three decades after the 21st Amendment was passed to end Prohibition nationally in 1933. 2017 marked the year of Mississippi’s first bourbon. And bourbon production is manufacturing. When we think of bourbon, we think of Kentucky. Many people still believe Kentucky is the only state where bourbon is made. Bourbon is America’s only native spirit, much like Scotch from Scotland and Champagne from Champagne, France. While bourbon production matured in Kentucky, being made in Kentucky is not a requirement when it comes to producing bourbon. Being made in the United States is a requirement. Now Mississippi produces four bourbons. While there is some dispute over bourbon’s origins, it is recognized that whiskey was being made in Kentucky commercially as early as 1783. Both the Samuels family (Maker’s Mark) and Evan Williams have claims. A Baptist minister, Elijah Craig, joined them just six years later in 1789, and the Beams followed suit when they sold their first barrel of “Old Jake Beam Sour” whiskey in 1795. Whiskey was being made and labeled as bourbon in reference to a cluster of counties all called Bourbon, not the single Bourbon County of today. It was not until 1840 that the name “bourbon” became the commonly used term. In 1964, bourbon was declared “America’s Native Spirit” by an act of Congress, at which time regulations were instituted to define what signifies a bourbon. That 1964 declaration gives us the rules of bourbon that we live by today. While the vast majority of bourbon is from Kentucky, more and more states are beginning to produce it. Bourbon has always enjoyed popularity. Because bourbon is aged, the spirits on the shelf today were put in barrels years before, so inventory is locked in far ahead of the sale. In recent years, bourbon’s popularity has skyrocketed and so have prices. 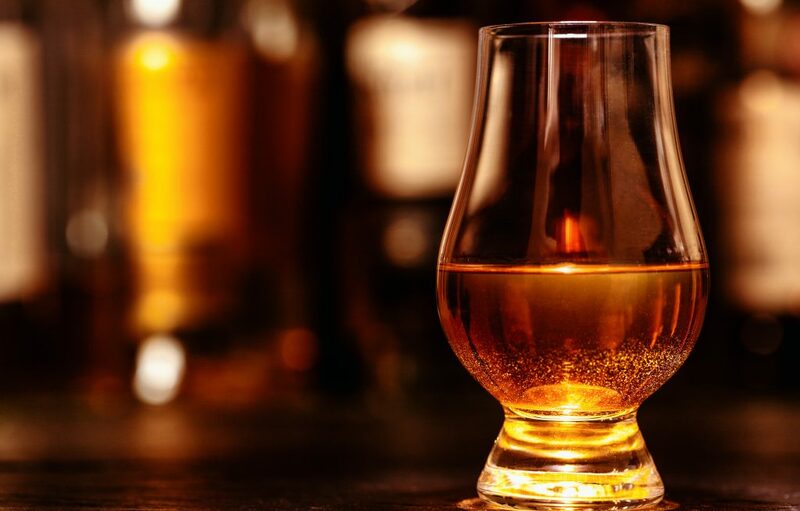 A good deal of the demand is attributed to Asian markets, where the taste for fine whiskeys has driven demand to record highs. An increase in demand and a trend for craft libations has resulted in more craft bourbon producers. To be categorized as bourbon whiskey, “America’s Native Spirit,” the spirit must meet certain criteria. First, bourbon must be produced within the United States. The grain mixture used to produce the bourbon, called the mash bill, must contain at least 51 percent corn. Most bourbons contain 60-80 percent corn. The remaining grains can be wheat, rye, or malted barley. Fresh spring water is often used. One thing that distinguishes Kentucky bourbon is the use of naturally limestone-filtered spring water. No coloring or flavoring may ever be added to bourbon. The spirit must be distilled at no more than 160 proof, enter the barrel for aging at no more than 125 proof, and bottled at no less than 80 proof. Bourbon is sold from a single barrel or in small or large batches, which are blends from multiple barrels. If it is barrel proof, then no water has been added after the whiskey is removed from the barrel. It can also be sold filtered or unfiltered. Almost all bourbon is filtered. a Wheated Bourbon, a High-Rye Bourbon, and a Four-Grain Bourbon. In 2017, the Four-Grain Bourbon was the first bourbon released to the public. Rich Grain later released the Wheated Bourbon and the High-Rye Bourbon, along with the Four-Grain Bourbon in a holiday gift set. All three bourbons are handmade and bottled at 90 proof. 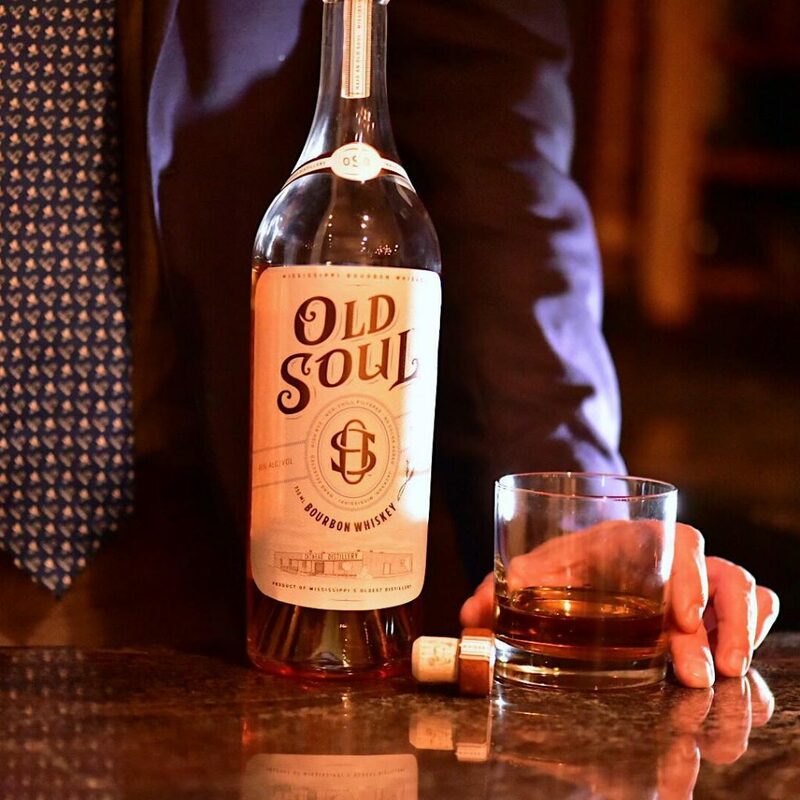 Cathead Distillery, Mississippi’s first and oldest distillery since Prohibition was repealed, released its first bourbon, named “Old Soul Bourbon,” in November 2018. Mississippi’s fourth bourbon, Old Soul, is a high-rye mash bill bourbon. The mash bill contains 75 percent corn, 21 percent rye, and 4 percent malted barley. Tours are available at both distilleries. Each brand is available in many Mississippi stores that sell spirits, but the Rich Grain Wheated and High Rye bourbons are only available at Beside the Grain, a spirits store located in the same building as the Rich Grain Distillery. Beside the Grain also features a mural of the history of whiskey making on the outside of their building. Since Prohibition ended in Mississippi in 1966, the road was cleared for Bourbon manufacturing. 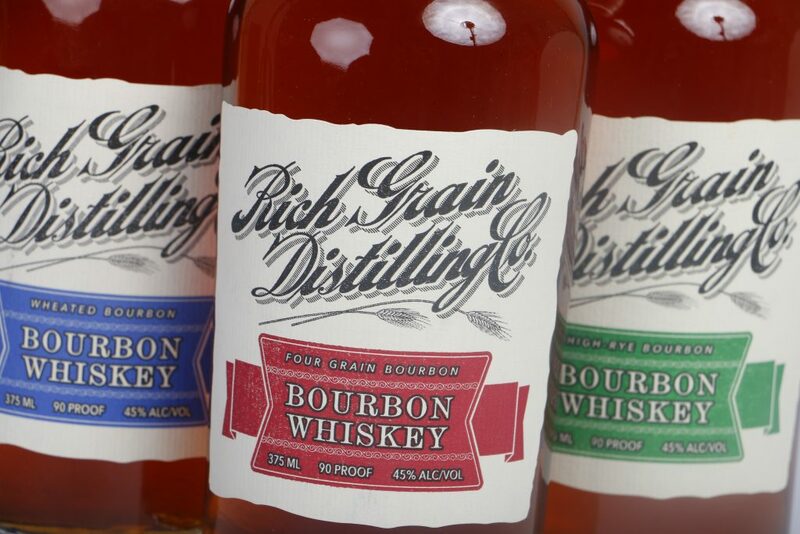 Now Rich Grain Distillery and Cathead Distillery have brought bourbon production to our state. Rich Grain Distilling offers distillery tours featuring a spirits tasting session every Saturday from 11am to 4pm on the hour for $7 per adult. Kids are free but do not get to sample the wares. A variety of Rich Grain products, including Mississippi’s first three bourbons, can be found at spirit stores and fine establishments throughout Mississippi and beyond. For more information, visit richdistilling.com or facebook.com/richgraindistillingco. Cathead Distillery is located at the corner of Court Street and Farish Street in downtown Jackson. The 20,000-sq-ft facility offers tours and spirits tastings for $15 on Thursdays, Fridays, and Saturdays from 3pm to 7pm. Tour guests are welcome to extend their visit at an inhouse craft beer bar where they can also enjoy ping-pong, board games, and a gift shop stocked with Cathead spirits, shirts, hats, and other gear. Dogs and kids are welcome but can only partake from the nonalcoholic beverages. Beside the Grain is a spirits and wine store that sells all of the Rich Grain bourbons in addition to a wide selection of tried and true spirit and wine brands.